Thats it now, Dexter has no more preschool this year, so we are officially on Christmas break! Sadly Liam isn’t, but we cant have everything. However it does mean we shouldn’t be bringing any more germs into the house before the big day! Whoooo! As we missed last weeks FPD due to a technical issue, I am opening the linky up today for you to post 2 weeks worth. So if you had a post ready for last week and didn’t get to share it, feel free to do so now. 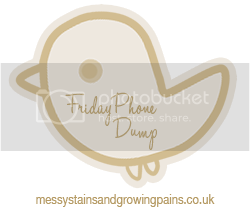 This is the last Friday phone dump of the year too as next Friday is Christmas day so lets see if we can make it the biggest one yet! The next one I host will be on the 1st of Jan and will be extra special. In that one I will allow not just weekly round up Phone Dumps but a round up of your entire Christmas and New Year period and I can’t wait to see what you all get up to! The ‘Friday phone dump linky’ is a place to share those fabulous photos that we take of our awesome kids and the things we get up to all week long that sadly just don’t make the cut for our normal blog posts. Some people write “The week that was” styles posts. 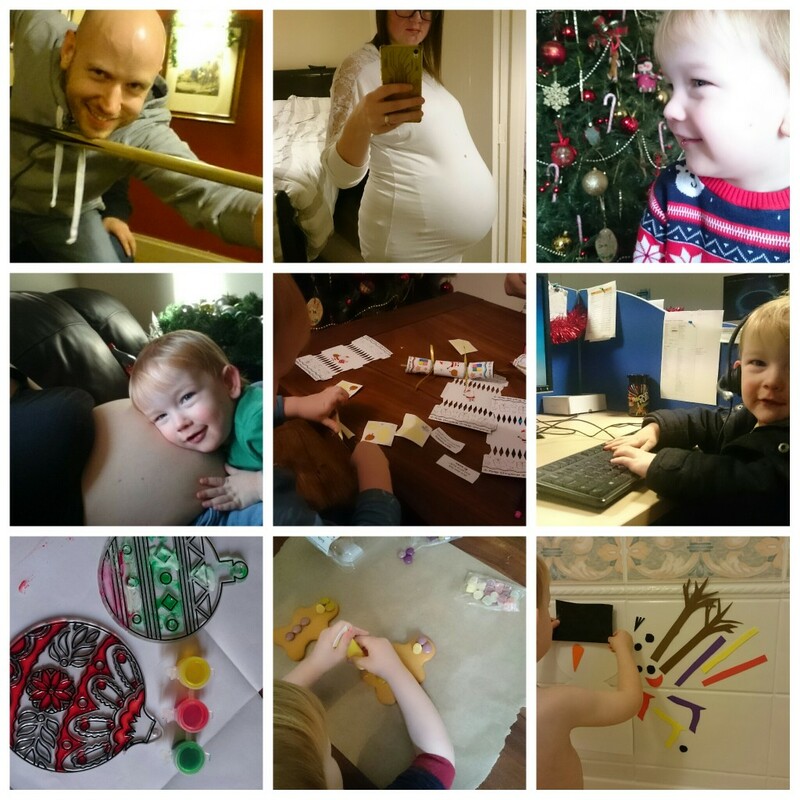 Others do “Our week in pictures” Whatever it is you chose to do, they’re all welcome here as long as it is a weekly round up post and includes plenty of piccies or an image montage from your phone. The rules are below, I hope you enjoy your visit and join in with us. Top: Liam playing pool on a rare night where we were both able to go out for Christmas drinkies with work friends. He actually beat everyone he played (I think) Obviously I wasn’t drinking..
Middle: Dexter listening and talking to his baby sister. He loves doing this, especially in the evenings. One of our Advent Calendar activities was making our crackers for Christmas Dinner. Pulling the bangs was hard to resist so sadly they wont be banging on the big day, but we still had fun hahaha. I took Dexter into work to visit and to sort out Secret Santa (I rule at organising Secret Santa and the girls were gutted when they realised I wasn’t going to be there to do it so I said I’d pop in and get it going) Whilst I was doing that, Dexter decided he would do some work and earn his keep. Good boy! Bottom: More advent Calendar activities. Painting suncatchers, decorating gingerbread men (and eating them) and our foam shape bath snowman. This is just different pieces of snowman, cut out of craft foam. When they become wet they stick to the bathroom tiles (or other shiny surfaces) and Dexter can build/decorate the snowman over and over as he wishes. We also did a Christmas tree one too but its out of shot. So what have you all been up to? I can’t wait to see some more Christmasy themed pictures! Not long at all.. counting down hehe.